The healthcare landscape is changing. 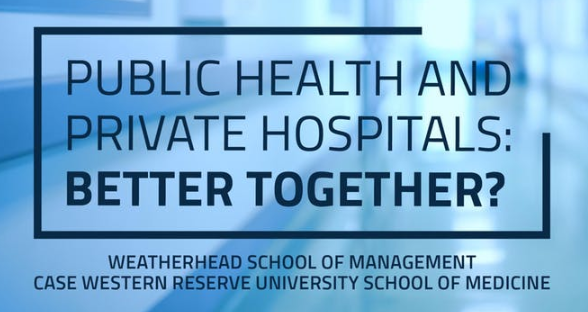 While private hospitals provide individualized care to the sick, public health organizations work to reduce the number of people who get sick. Will success for one be a defeat for the other? Dr. Mays will serve on a panel of distinguished experts from the academic, managerial and public policy worlds will provide insight into these questions and the future of healthcare. Immediately prior to the panel discussion, guests are invited to attend the Ford Distinguished Lecture featuring keynote speaker Omar Ishrak, Chairman and CEO of Medtronic. The Ford Distinguished Lecture will take place at 3:30 pm in the Smith Ballroom, Tinkham Veale University Center. Click here for more information and to register for this free event.